Polk County’s race series is back to challenge runners again this year. Dubbed Run 863, the four race series started last year. Competitors who finish three of the four races receive a special commemorative medal. The series starts with the 90th anniversary Carillon Classic 5K Run and Walk on Feb. 23 at Bok Tower Gardens in Lake Wales. Considered one of the most challenging courses in Florida – thanks to its elevation changes and the variety of terrains on the course, from trails to gravel to pavement – runners also get to enjoy some of the most scenic vistas in Florida as well as gardens, groves, and, of course, inspiring music from the tower. Due to the unpredictable terrain, strollers are not allowed. Downtown Winter Haven hosts the next race in the series, the March 9 Law Enforcement Torch Run for Special Olympics. Held in conjunction with the Winter Haven Police Department, proceeds are donated to Special Olympics Florida. Llamas and camels and zebras will be among the sights at the Safari Wilderness Run, the next challenge in the series. 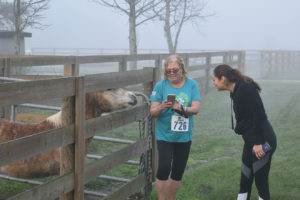 Held at Safari Wilderness on March 23, the course takes runners alongside many of the animals grazing at the ranch. Due to the unpredictable terrain, strollers are not allowed. The last race in the series is the annual Tiger Trot 5K on April 20 at Publix Field at Joker Marchant Stadium in Lakeland. The certified course starts at the stadium parking lot, weaves its way through Lake Parker Park and ends inside the stadium near first base. 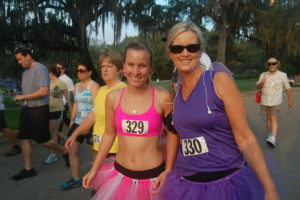 The Carillon Classic 5K, along with the Tiger Trot 5K, are both long standing annual events beloved by runners from Orlando to Tampa and beyond.